Philippe o Lorraine (1643 – 8 December 1702), kent as the Chevalier de Lorraine, wis a French nobleman an member o the Hoose o Guise, itself a cadet o the Ducal Hoose o Lorraine. 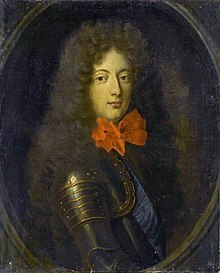 He was the renowned lover o Philippe o Fraunce, Duke o Orléans "Monsieur", brother o Louis XIV o Fraunce. He wis a brither o the Coont o Marsan an an uncle o the Prince o Luxin. 1643 - 8 December 1702 Monsieur le chevalier de Lorraine. This page wis last eeditit on 28 Mairch 2019, at 23:45.